Recently my motion sensor lights switch went bad. I opened it up and found that main ic is dead, but relay and relay transistor is ok. 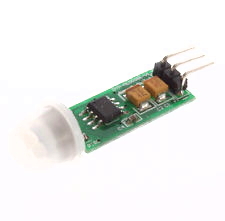 So I ordered really small PIR Sensor Module to fit it in place of dead ic. That ic was LP8072C which is a pir controller and it support light intensity sensor which is just a Photoresistor. So my motion sensor does not switch relay in daylight, designed for lights switching. Pir sensor module I've got does not support photoresistor, so I had to design it in myself. What I've done is connected photoresistor to the base of relay switch transistor and second lead to the ground. With a base resistor which was on pcb already it makes a strong pulldown to transistor base. So when it's a daylight, photoresistor changes it's resistance to about 220 Ohm which prevent transistor to switch relay. I had to remove some parts from original pcb which interfere with photoresistor. An I removed LP8072C too. 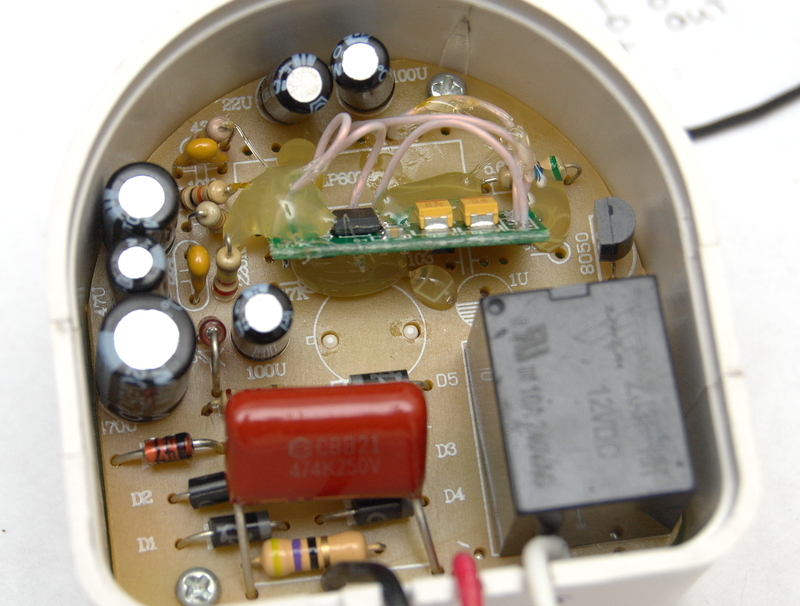 Then I removed actual pir sensor can from module pcb and removed connectors too. Wired pcb pads to old pir sensor can on original pcb and to power and wired output to the output pad of LP8072C ic. Then I glued sensor module pcb in place. Works ok except this new sensor has short keep relay on timeout, but whatever. This can be adjusted I guess, ic on sensor module pcb is unknown, no markings, it looks like sanded. As you spotted there is no power supply as we used to see. It's just Live wire through 0.47 uF 250v cap in series with resistor to diode bridge. Then to 25v filter cap then to regular diode to drop voltage a bit then to zenner diode to get 5v with filter cap. It's a low power supply. Sometimes it's used inside cheap led light bulbs with many leds. This red 0.47 uf cap is half dead already because it's rated to 250v and as you know 220v mains has 315v sine peaks. It's capacity is 0.2 uf and it still works.